How we can Unite Science and Religion? ... by Saint Germain and Mary Magdalene. Introduction by Giovanni A. Orlando. Home #3 Chemistry How we can Unite Science and Religion? ... by Saint Germain and Mary Magdalene. Introduction by Giovanni A. Orlando. And please understand and read these words careful ... because if people spend millions to have a 'discover' that I Giovanni consider 'stupid and useless' like the so-called 'Bosson of Higgs' ... Useless because is more smart to remove Poverty in the World ... to solve the problems of Energy ... to place the Lord in the High of our Heart ... in our Homes ... and NOT into a Church ... that to give money to people that DON'T SOLVE. Mary Magdalene explains that everything here on 3D is the result of Alchemy, the Sacred Science ... still to prepare a Cup of Tea. I Giovanni want to use simple words ... and you will understand better. To prepare a Cup of Tea ... You need the Loaves of Tea, the Water ... and then let the Water boil. To have Water at 100 °C we need energy. To have Tea we need money ... not too much and to have Water we need basically no effort. The Tea was produced by the Land ... in far places like India or Ceilon and then imported. To have the money we need to work ... etc. Please note all the components of the process and discover how long may be ... It is an act of creation ... to have the money ... to go to the Supermarket ... to purchase the Tea ... and have a Cup of Tea. Humankind have established the Money ... like the Base of Exchange. This is an established Law and must be respected. It is a creative process ... or a process of Creation ... We work ... we need a salary or a sale ... and then we got the money. It is an Alchemical process ... It is NOT Magic to be understood ... Everyone can and produce money. May be a Singer sing a song. May be an Actress play a role ... may be a Worker do a specific Job. I prefer to be ironic ... or better not be ironic and not include Sexual Jobs ... Don't you? And Now, I Giovanni want to give my Word to Ascended Master Saint Germain ... who was Merlin ... who was King Solomon ... as well Roger Bacon and Francis Bacon ... but also Hermes Trimegistus inside the Sphinx ... and he Master great and everyone capable to be accepted like a 'student'. 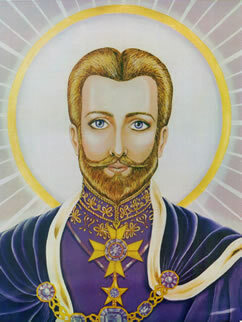 Saint Germain was also Joseph the Mentor/Father of Lord Jesus ... and for me is clear that he introduce very rudimentary secrets to the Masters of Masters ... Lord Jesus who was able to precipitate food and wine from water for many many people. PS. If you ask me something ... I will tell you nothing but the Truth. Not what might be, but what will be because man envisions, invokes, and equates with universal law. Alchemy! The wondrous science of change that fulfills the heart's deepest desires, orders man's affairs, and renews the sweet purity of his original communion with the Great Pro­genitor. The concept of the multiplication of cells points to the law of nature that provides for a continual addendum. This law which governs the reproduction of life after its kind does not involve the physical body alone, but the mind, the feelings, and the memory as well as the pure Spirit of man. Coordination between the four lower bodies and the higher vehicles enables man first to control his environment and then to cre­ate—on condition that he can understand and not be hindered by the obvious illusions of the appearance world whose point of reference is time and space. Now, the presence or absence of certain fac­tors may either lengthen or shorten the time of precipitation even though all other components be in order. Therefore, when these factors are known, they can be systematically eliminated in order to shorten the time of manifestation. The primary deterrents to precipitation should be rec­ognized as (1) inharmony in the feeling world, (2) a sense of loneliness or abandonment, and (3) a sense of smallness or insecurity and doubt. Sometimes the presence of these factors can be minimized by a simple act of faith. At other times it may require more earnest application to the Deity and a strengthening of the positive counteractions which are designed to eliminate completely the negative influences manifesting within and without one's world. It may seem strange to some of you that I call to your attention these simple facts. But may I honestly say they are not so simple, for the effects of these mood energies upon the creative intent are of far greater consequence than hu­manity are willing to admit. By pointing out the need to correct these conditions and making the would-be alchemist aware of the influence they exert upon his desired manifestation, I feel that we are taking a big step in the right direction. For this knowledge applied will avoid the introduction of discouraging fac­tors at a later time when for some the anticipated results will not be immediately forthcoming for the very reasons I have stated. This brings me to the place where I want to amplify, at the beginning of my instruction, the need for perseverance. Frequently, failure to per­severe in the correct course has nullified all fruit­age just before the harvest from the invisible world was ready to release itself into the hands and use of the seeker. We would mention now some of the great and vital alchemical factors whose positive power should also be considered. Chief amongst this list is faith. This includes a belief in the whirling power that keeps the electrons in vital motion revolving around their nucleonic centers. This power resembles a tightly compressed, almost omnipotent spring. It is central to every solar system and atom whose magnetic flux and emanation, while centered in its own nucleus, is able under cosmic law to tie into limitless energy fields to produce whatsoever miraculous manifes­tation is the requirement of the moment—when the individual is able to convince himself and the universe that his course is right. Now, we have all seen men who were re­markably successful in producing wrong action simply because they were convinced that their course was right, even though they were actually wrong. This does not mean that Cosmos itself is proverbially blind; it is simply indicative of the cosmic need to protect the secrets of creation from the eyes of the curious and to guard the treasures of heaven through the systems of initiation evolved y the Brotherhood. The inner necessity of the universe to pro­tect its secrets from the profane can be seen in the activities of the Luciferian hordes who, from time to time during the long history of the planet, have involved the sons of God in a misuse of the cre­ative and sacred power of life. This they have done through psychedelic perversions, dangerous drugs, their infectious spirit of rebellion against order—which is heaven's first law—and the spread of chaos, often in the name of idealism. But this brand of idealism has always been based on intellectual pride; it is put forth as the counterplan of the carnal mind that competes with the Divine Mind, considering itself superior thereto. Therefore, if I have seemed overly pro­tective in this intermediate course in alchemy, heaven knows there is a reason for it. And now I say to each one, taking into account the semantics of alchemy, let us recog­nize that the word altar signifies a sacred place of change. Here all change is wrought by God's law. God is law. His law does not exist without love. But unfortunately, owing to the very generosity inherent within the Divine Nature which allows various functions of the law to be used by evolv­ing humanity, it has been possible for man to sep­arate the law from love. The mechanical aspects of the law are often combined with trickery to produce phenomena which in the eyes of God are meaningless. Once a man has attained the position of a true spiritual adept, he has developed the powers of love and wisdom within the framework of universal law. He is innocent of harm to any, and his alchemical feats reflect his selflessness. Then the miracles he produces are of far less importance in his own eyes than the miracle of his oneness with his Creator. So now as we face the altar, the place con­secrated to the science of wondrous change, we must recognize the two courses before us. The first is to choose a course of action based on the highest knowledge made known to us. We decide what we wish to change. We decide why it needs to be changed. This gives motive power to our alchemical experiment. At the same time, we recognize the limita­tions of man's knowledge and the superiority of the God Self and of the elder brothers of Light to assist him in working out his individual destiny. Therefore, the second course of action is to be aware that right change can be produced without conscious knowledge of what that change ought to be. We simply invoke from God the purity of his divine plan for right change. In other words, we command in the name of the Lord—which man as a co-creator with God has the right to do—an alchemical precipitation of the gifts and graces of the Spirit that will endow the blessed son with the qualities of the Christ, thereby making him more capable as a spiritual alchemist and more integrated with the universal plan. I have found that wherever the second al­chemical technique is employed, it strengthens the first course of invocation (invoked action) and fills the gaps in man's forte of knowledge, covering his ignorance by the cloak of true spirituality. As we face the altar, aware of the realities of God and of the potential for their realization in man, let us also take into account those masterful beings who have already secured for themselves the ability to produce change at will. Surely the assistance of those who have been successful in the alchemical arts will be invaluable in producing the fruit of our desires. Invocations and prayers of one's choice are then in perfect order. With an awareness of the law, faith in its impersonal operation, and a determined intent that once the formula has been developed the desired manifestation must be released into form, we shall proceed with the business of creating change. Now, one of the most effective means by which change can be produced—and this which I here make known to you is a deep and wondrous secret held by many of the Eastern and Western adepts—is through what I will call "the creation of the cloud." Saint Paul referred to a "cloud of witnesses. "3 I am referring to a cloud of infinite energy which, somewhat like the ether so pop­ularized by the scientists of a century ago, is every­where present but nowhere manifest until it is called into action. At first reading, to those who are empirically minded—skilled only in the material aspects of science and in what the senses can perceive—my foregoing remarks may seem to be just so much foolishness. If any think that, I can only have compassion for them. I cannot help them, nor does the law require me to apologize; for I have proved this principle many times with the greatest of success. And I think that where the great adepts do not consciously use it, then it is automated for them through their contact with the Higher Mind. But for most of our beginning and intermediate stu­dents, it will be essential that they learn the process carefully in order that they can first con­sciously create the cloud and then wait until its appearance becomes an automated process in their beings. I shall continue next week with this very important activity—"Create!" and the cloud.